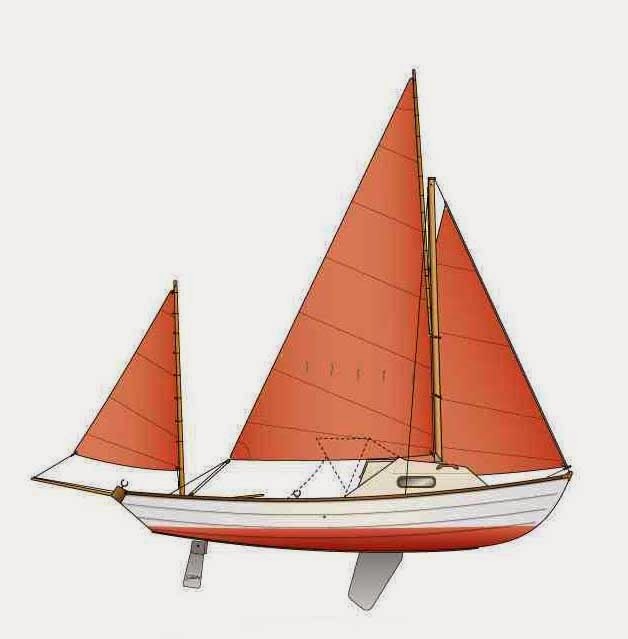 No sailing this weekend but it did provide the opportunity to complete a couple of modifications that I should have done during the winter, as well as adding the fittings for the new sails, which should arrive this week. 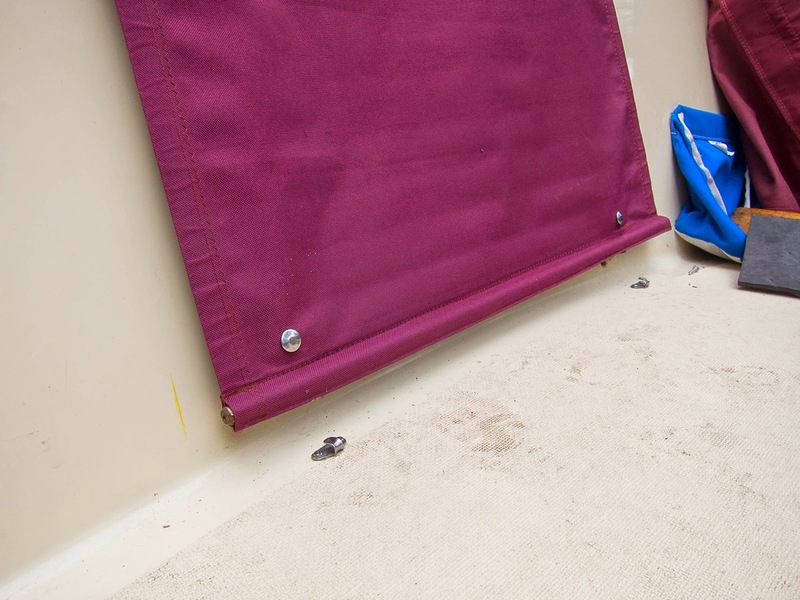 To hold the canvas doorway cover down, we decided to add two additional fasteners to the bottom. 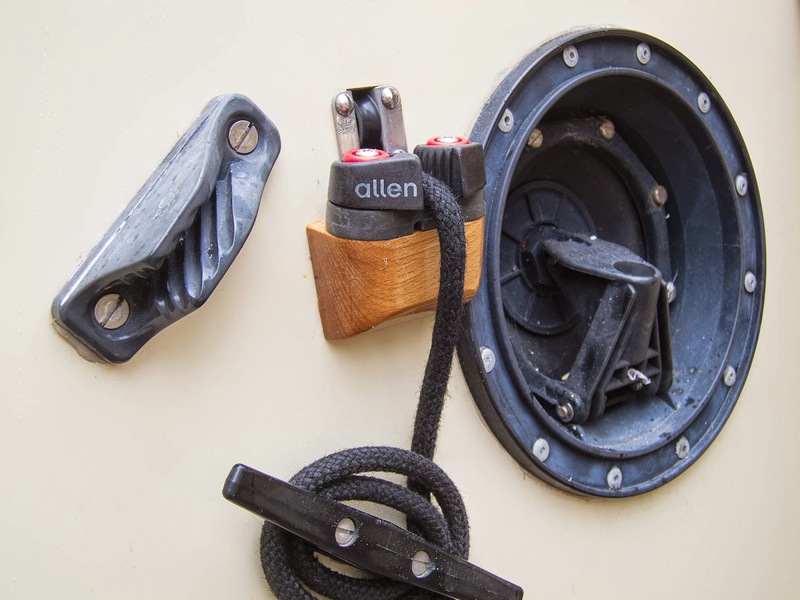 This should stop it lifting while sailing. 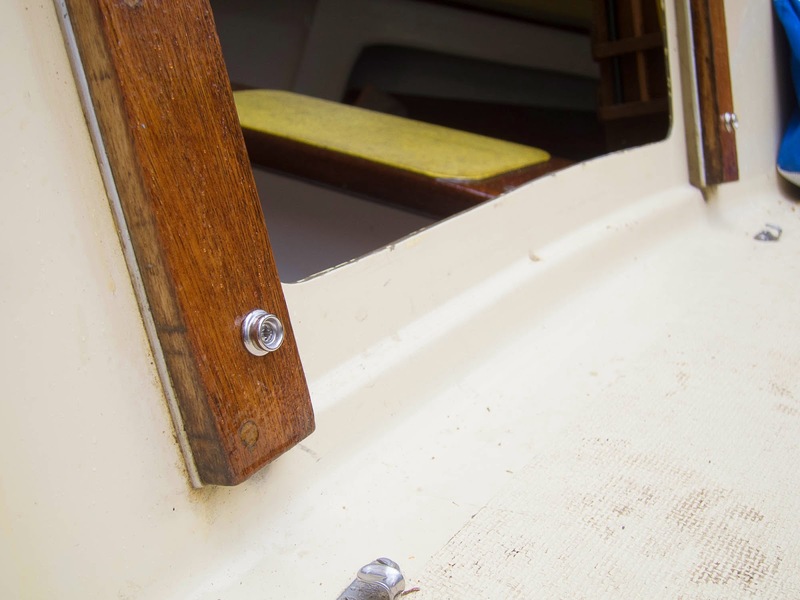 The second job was to add a cam cleat for the centreboard control. This should be easier to use. The wooded supporting block was quite a complex shape, as it needed to be shaped to fit around the starboard pump. 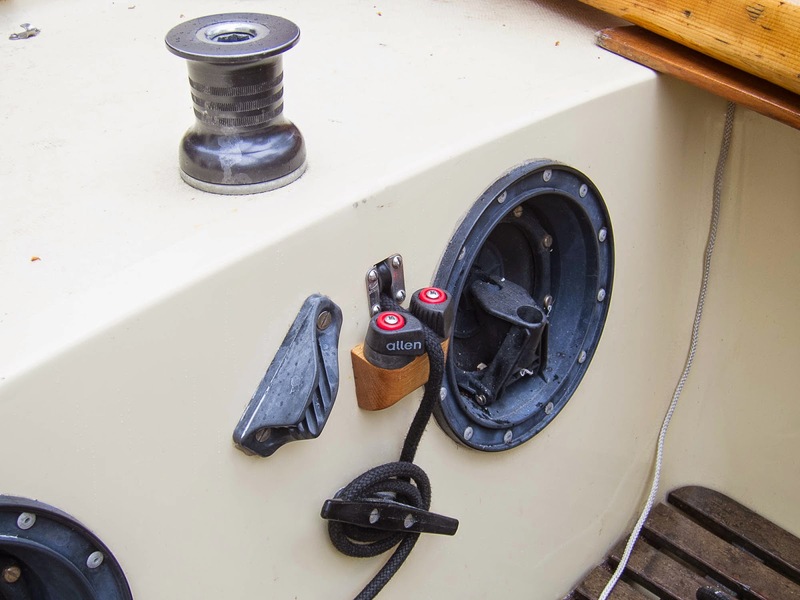 We are also considering changing the rope for a slightly thinner piece, as the current rope can roll off the top of the drum, when lowering the centreboard. The block is held in place by two screws and a plate from the inside of the bridge deck, this does mean the need for two people to fit it in place.